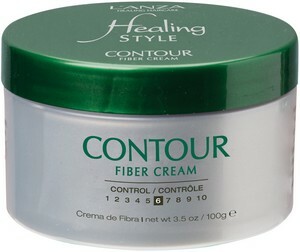 This fibrous styling cream wraps individual hair strands to form supple shapes & creative contours. Bendable threads seperate, define and detail, allowing for distinctive designs & flexible textures. Features Keratin healing System, Color preservers, triple uv protectors, thermal guard and rainforest botanicals.